Teaching Acting with Practical Aesthetics uses constructivist pedagogy to teach acting via Practical Aesthetics, a system of actor training created in the mid-1980s by David Mamet. The book melds the history of Practical Aesthetics, Practical Aesthetics itself, educational theory, and compatible physical work into the educational approach called Praxis to create a comprehensive training guide for the modern actor and theatre instructor. It includes lesson plans, compatible voice and movement exercises, constructivist teaching materials, classroom handouts, and a suggested calendar for Acting courses. 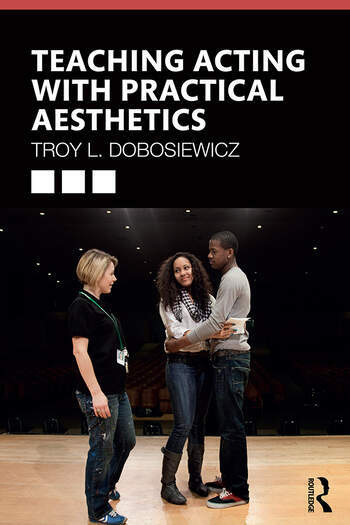 Written for Acting instructors at the college and secondary levels, Acting scholars, and professionals looking for a new way to perform, Teaching Acting with Practical Aesthetics offers detailed instructions to help students sharpen their performing skills and excel on stage. Troy L. Dobosiewicz is an Assistant Professor of Theatre at Ball State University in Muncie, IN. He teaches courses in Theatre Education, Acting, Theatre History, and Introduction to Theatre.